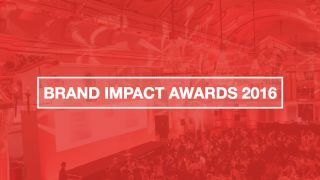 Many of the world's leading brand strategists, designers and their clients gathered last night at Ham Yard Hotel in London for Computer Arts’ third-annual Brand Impact Awards. Judged by an elite panel from top agencies including Turner Duckworth, GBH and Wolff Olins, as well as client-side judges from top brands like Coca-Cola, Virgin and Monotype, the projects in this year's shortlist represent the very best of the world's branding. Inspired by top Canadian chef David Lee’s cooking, Blok Design’s rebrand of Nota Bene restaurant makes use of simple three-colour palette that echoes the interior design by +tongtong. To reflect the barren landscape photography in Robert Walker’s exhibition The Fifth Continent, The Chase used a muted palette and simple lines of varying thickness to subtly echo the linear elements in the work. Wolff Olins’ bold rebrand of New York’s Metropolitan Museum of Art into simply ‘The Met’ unifies the museum’s activities under one robust system, which celebrates both the authority and the openness of the organisation. SB’s playful, dynamic identity for The Brutalist Playground – an immersive installation by Turner Prize nominees Assemble and Simon Terrill, that occupies the entire architecture gallery at the Royal Institute of British Architects (RIBA) – is based around a bespoke typeface, built from Tetris-like blocks. D&AD New Blood’s Fly on the Wall project provides insider insights into design. Alphabetical released a ‘fly’ on Twitter to visit the world’s top studios, collating the best advice into a set of graphic posters. Bond & Coyne gathered ‘one piece of advice’ for new graduates from Arts University Bournemouth’s alumni network, turning them into illustrated prints handed out at the graduation ceremony. It became a magazine, an events series and a podcast. The Society for Experimental Biology’s rebrand had to appeal to both established and younger scientists. Purpose combined a network of bold lines and shapes with biological illustrations and vibrant highlight colours. With the question ‘What does a creative university look like?’ in mind, NB revisited the idea of a crest, developing a simple mark that opens up to become a flexible framing device, brimming with energy. Born on the back-streets of Mexico, Manomasa celebrates the quality and variety of street food. Pearlfisher used a montaged illustration style to reflect layers of taste, combined with a bold graphic language. Turner Duckworth rebranded American paper towel brand Brawny, reinventing its mascot as a mighty giant. Consumers shared the packaging on social media, holding it in front of their faces to ‘become’ the Brawny giant. In response to rising child obesity levels, Chicken Town serves a healthier alternative to fried chicken, and gives on-the-job training to young people. Peter & Paul’s cheeky identity captures the spirit of the venture. When Breakthrough Breast Cancer and Breast Cancer Campaign merged, they needed a unified brand to help them achieve their shared ambition: stop women dying of breast cancer by 2050. The Clearing rose to the challenge. Briefed with designing a fundraising T-shirt for the British Heart Foundation, The Partners took it a step further by stitching a simple but ingenious ‘care label’ inside, giving CPR instructions. North was tasked with making Arjowiggins the go-to brand for designers, printers and luxury brands. A new positioning – ‘international standards for creative papers’ – lies at the core of the identity system. A bold departure from traditional ‘beauty’ imagery, SomeOne’s rebrand of skincare brand Debbie Thomas is underpinned by a striking set of photos, created by pressing mannequins’ faces, hands and bodies into flour. Shared office space Workcenter México needed an identity to reflect its collaborative spirit. Inspired by the architecture, Bienal Comunicación created a simple but highly versatile grid system to tie it together. North’s widely discussed rebrand draws on Co-op’s past by bringing the iconic 1960’s cloverleaf motif back to the fore, celebrating its heritage while giving the brand a fresh, modern overhaul. The Partners follows its total rebrand of Argos with a campaign for its Value Range. Combining witty copywriting with bold colour and black-and-white photography, it proves simple doesn’t just mean basic. Louis Vuitton has sponsored The America's Cup for 32 years. In 2016, GBH deconstructed its iconic marque into abstract triangles to represent competing sailing boats, creating a truly versatile graphic language. Faced with unifying all the art and design from the Olympic Games into one comprehensive collection, Hulse & Durrell researched decades’ worth of design manuals and brand guidelines for this ambitious project. When Ireland’s largest telco invested in the country’s fastest-ever broadband network, Moving Brands was tasked with changing preconceptions of its service via a major rebrand, renaming Eircom to simply ‘eir’. For Miller Lite’s 40th anniversary, Turner Duckworth reinvigorated the Steinie bottle design from 1975, adding subtle graphic embellishments with a stylish white and gold palette. Every branded piece of clothing sold by British Heart Foundation now carries CPR instructions, and there are ongoing talks about introducing the labels in school uniforms and high street fashion. Since the rebrand, Breast Cancer Now campaigner numbers have doubled. New partners include M&S and the Metro, the team have successfully lobbied to lower drug pricing, and over 200 MPs are on board as ambassadors. The judges applauded the witty copywriting and versatility of this campaign for Cambridge University, calling it a fittingly smart approach for the sector. Don’t miss the next issue of Computer Arts, on sale 16 September, for a full round-up of the award-winning projects, plus exclusive insights from the agencies behind them. Subscribe today and save 20% on Adobe’s Creative Cloud photography package.